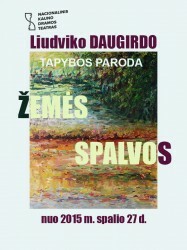 Personal exhibition in Domus galerija (Domus Gallery), Vilnius. Personal exhibition in Technikos biblioteka (The Central Library of Science and Technology) Vilnius. is this painting for sale and who is the artist?